Such a simple shape but so eye-catching as well. 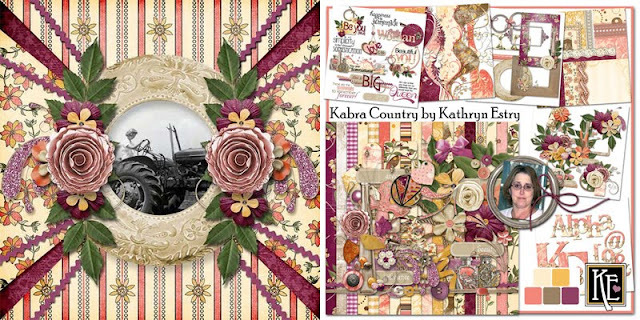 Enjoy these outstanding pages with triangles by Kabra, Melly, and Yvonne. Thank you, Ladies! Kabra layers her papers in a way that triangles are formed. I love her layering! Melly and Yvonne made new elements for their layouts by cutting triangles from the papers in the kits. 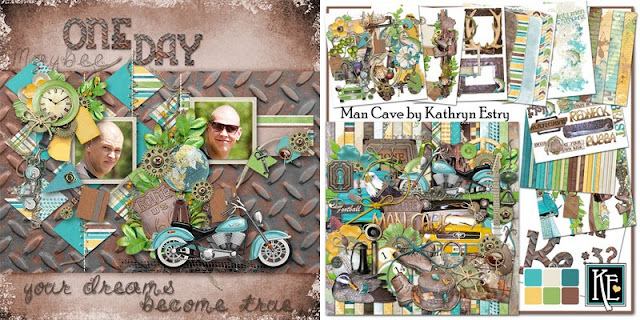 I hope to see some of your pages soon where you've used triangles as these Layout Artists have done. 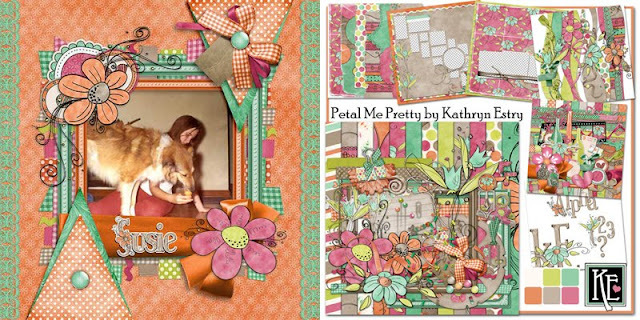 Please post your layouts in my forum challenge, Scrapping with Kathryn from A to Z! Remember everyone who posts a layout gets you a free gift from me. 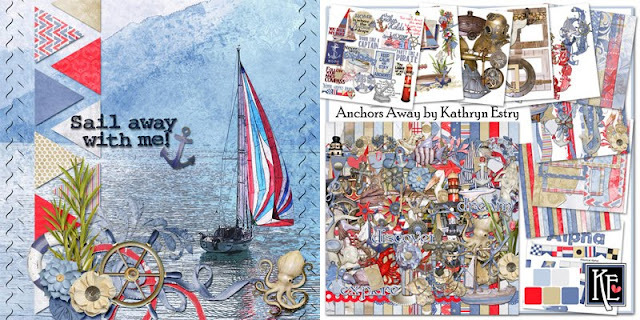 Thanks for all the lovely Blog Train freebies!